Im jealous of the 1500rpm at 110mph! Those are some TALL gears. 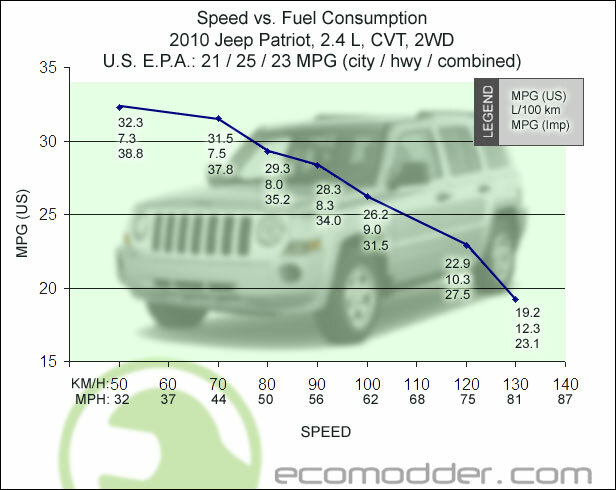 It's good to do a speed vs. mpg chart for your car so you can track your progress over time with various mods. I've taken a slightly different approach here.. I log the AVERAGE speed of my 328i per tank (usually 230-270 miles), and do tank to tank MPG comparisons.. 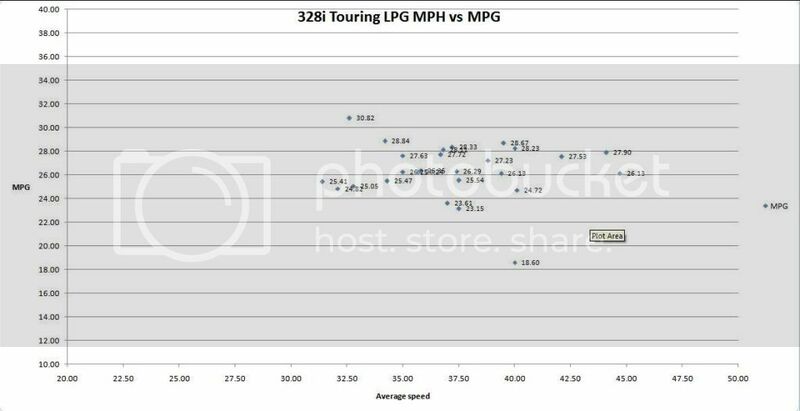 I've plotted these in an effort to determine the best AVERAGE speed for LPG consumption. I'd be interested in your opinions and observations..
EG: if a tank includes a siginificant mix of city/suburban plus highway motoring, how do you interpret the results & use the average speed number to your benefit? Also: does the measurement of average speed include time stopped? 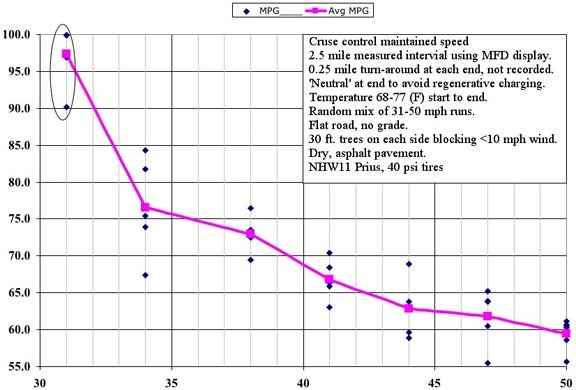 (EG: the ScanGauge average speed calculation is not a "rolling" average, which would be more useful. Its calculation includes time stopped. Consider too that spread out through the year, weather effects will affect the MPG numbers (cold weather = worse mileage; warm = better). How is that separated from the average speed variable? 4.Variables I cant control are so large and vary so much over the course of a tank that they even out (e.g. so far this week I've had 2 dry partial commutes (one out, one back not on same day) and 4 wet ones) no to mention the temp going from 20 degrees to 9 and back to 14 in the same 3 day period. My ccars OBC counts it as "Key on" speed- essentially if stationary but at position II on the ignition, its calculating.. Here is my Lupo 3L stock data on blue and some estimation on red dots. Vekke - mind if I post that image in this thread?